In this post, I am going to tell you everything you need to know about your human imagination and I am going to keep it simple. You are the operant power of your human imagination and it is your feeling that’s the secret. The emotional images you see and experience in your imagination will always manifest into your reality whether it is positive or negative. The choice is always your alone to make and you will always experience what you imagine 24/7. Like in the movie matrix it is up to you to choose the red pill or the blue pill. The choice is always yours alone to make. Meaning you can choose Life (Peace and Prosperity) or Death ( Pain and Suffering). Imagination will always grant you your hearts desire. whether its positive or negative. Imagination never judges it just grants you your desires. Imagination is reality and NOW is reality in imagination. 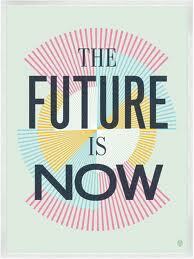 We all have to understand that imagination cannot tell the difference between ‘NOW’ and your future reality. As far as your imagination is concerned everything you are experiencing now in your imagination is happening in your reality. Imagination is alive and active now! In imagination NOW is the future. The future is NOW. Reality is NOW. Imagining creates reality and Imagination is reality. Be careful what you imagine, because you will experience what you imagine in your reality. The truth is you see it first in imagination before you can experience it in your reality. If you focus on positive expectations, you will get positive results and if you focus on negative expectations you will get negative results. Plain and simple. Finally friends, it is our feeling that’s the secret. Always remember to focus on positive emotional images and Positive expectations and as you believe in your heart (Imagination) so shall it be done unto you. Thoughts and images are seeds and you will always reap what you sow or plant in your imagination, because thoughts and images are things. I Am all imagination. Seeing is believing, but it is our feeling that’s the truth. ← It’s Time To Reflect On Ourselves!